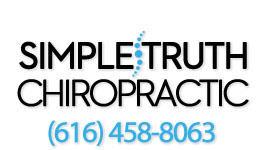 Simple Truth Chiropractic offers our patient forms online so they can be completed in the convenience of your own home or office before you arrive to our chiropractic office. This form can only be completed from a desktop or laptop. Allow yourself 15-20 minutes to complete the forms. Please fill out each section completely, selecting "none" if a section doesn't apply to you or "other" if your answer is not listed. Pediatric Patients: Please fill out both the Standard and Intensive Evaluation.